We have expanded our powdercoat masking product offering with the addition of a new range of Silicone Tubing. Available from stock in ID sizes 4.75, 5.54, 5.94, 6.35, 7.14, 7.92, 9.53, 11.1 & 12.7mm in roll lengths of 30.48 metres and ID sizes 15.88, 19.05, 22.23 & 25.4mmin roll lengths of 15.24 metres our tubing is ideal for masking long bolts, tubes, pipes or pins where conventional silicone caps are too short. When you need to mask, STOCKCAP is your one-stop shop with the complete range of High Temperature Silicone Caps, Plugs, Tapes, Discs and now Tubing! ASA, FC & SR Flange Coversare designed to protect critical flange faces, preventing interior damage and contamination. Our STOCKCAP range will fit most American Standard Association, Navy and Military sizes and some typical application include:Flanges and joints, Valves, Vessels and Pipes. Manufactured from tough vinyl material STOCKCAP Flange Covers won't warp, swell. tear or split even under the most extreme conditions. The Kit provides Powder Coaters with reusable silicone caps & plugs ideal for quick sizing & identification as well as small powder coating jobs. The Kit contains 9 sizes of Silicone Caps from 2.77mm to 12.7mm and 8 Silicone Plugs from 2.54/0.79mm to 15.09/10.31mm. We also carry Masking Tape & Discs. 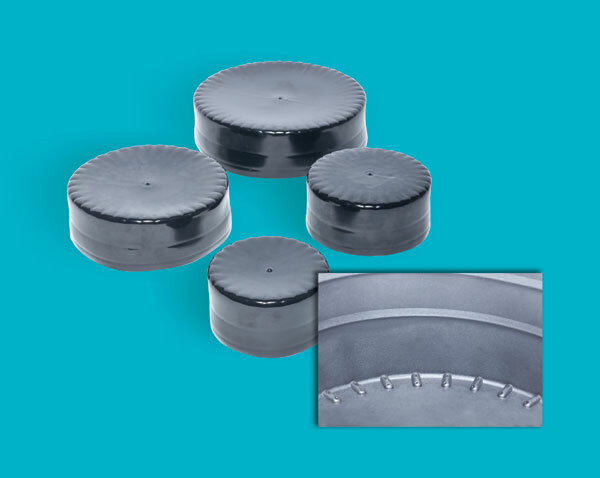 For the Mining, Oil & Gas markets we have released the first 4-sizes in our new Pipe Cap range. We have released a new range of clear tubes for packaging and mailing. Made of recyclable PETG plastic and in-stock for immediate delivery, our range includes clear packaging tubesfrom 7mm up to 90mm diameter in stock lengths of 1.22 metres as well as clear mailing tubesin diameters from 34mm up to 90mm and stock lengths of 305mm and 610mm. The 1.22m long clear packaging tubes make an ideal package for cutting tools, bearings, welding rods, screwdrivers and other products requiring extra-strong packaging. The rugged PETG material maintains its shape while being flexible enough not to split or crack under typical use. The clear mailing tubes in 305mm and 610mm lengths are light weight and have the added benefits of addressing security concerns and displaying a 360° message. For the finishing touch, we stock black flexible vinyl caps and clear capsto suit all sizes of our packaging and mailing tubes. Other cap colours and styles are available made-to-order. STOCKCAP Plastic Packaging & mailing tubes are competitively priced and available in convenient pack sizes with no minimum order value. Tube Insert range now includes Roundsizes from 13mm up to 100mm, Squaresizes from 13mm to 150mm and Rectangular sizes starting at 30x15mm up to 150x50mm, including the popular 65x16mm. Tube Inserts suit a variety of wall thicknesses from 0.5mm up to 8mm. 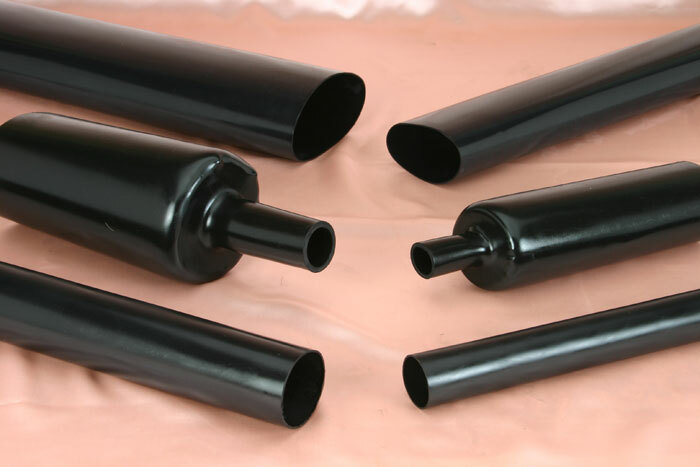 Manufactured from LDPE and available from stock in black, Tube inserts come in convenient packs of 10, 50, 100, 500 & 1,000 depending on the size required. Contact usfor free samples and a quotation. STOCKCAP (Sinclair & Rush Inc) have acquired the mould tooling and marketing rights to the entire line of Hunt Wilde injection moulded grips. Ideal for use on Outdoor Power Equipment, Hand Trucks, Lawn & Garden Tools, Medical & Home Healthcare Appliances, Fitness Equipment, Sporting Goods, Toys, kid’s Bicycles, Pumps & Compressors, we have the entire line in stock for immediate delivery. The Straight Grip – featuring a very simple and traditional design. This grip is designed to fit securely on a standard 1” diameter bar but, the flexible nature of the material can also conform to other shapes as long as the outside circumference allows for a secure fit. The Classic Finger Grip - known by many as the original bicycle grip. Of course, over the years, bicycles have evolved and so have their grips. Still, finger or bike grips remain a popular choice for applications ranging from kids toys to garden tools. The Rib-Finned Grip – a grip offering a unique look and added comfort over many other grip styles. Closely spaced ribs made from a low durometer flexible vinyl material provide cushioning and vibration dampening qualities that have made these grips ideal for bicycles, outdoor power equipment, and many other applications. The Honeycomb Grip – a unique grip makes them stand out from the traditional straight grip in terms of both appearance and performance. The hexagonal pattern provides an upmarket look while enhancing comfort with its non-slip, vibration dampening design. The Flanged Tapered Grip – are ideal for applications requiring consistent hand placement. The tapered design keeps the users hand from drifting off the end of the grip while the abrupt flange resists any forward movement. 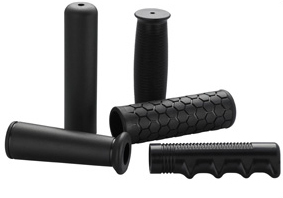 These grips have proven to be very popular choice for bicycles, fitness equipment, and a variety of tools and equipment. In stock for immediate delivery, the range includes 2-Core Boots with body/core dimensions 32/8-14/3mm and 4-Core Boots 41/16-14/4mm, 50/17-17/4mm & 70/28-25/8mm. 10 other 2-Core sizes, 9 other 3-Core sizes and 8 other 4-Core sizes are available on request. STOCKCAP Heatshrink Cable Breakout Boots are suitable for use with most common Low Voltage cable types including XLPE, Rubber and PILC cables rated up to 1.1KV. All STOCKCAP Heatshrink Cable Breakout Boots are manufactured from cross-linked polyolefin and internally coated with hot-melt adhesive to provide excellent long-term resistance to weathering & moisture contamination. STOCKCAP Heatshrink Cable Breakout Boots are competitively priced and available in convenient pack sizes. For the hydraulics market, we have released a new range of Hose Collars to suit hose-tail sizes ¼”, 5/16”, 3/8”, ½”, 5/8” & ¾” in the push lock tail range. Manufactured from LDPE and available from stock in red, STOCKCAP Hose Collars come in convenient packs of 100, 500 & 1,000. Our Hose Collars are designed to finish off the hose end and fitting providing a professional finish as well as offering protection from dust & moisture. In stock for immediate delivery, our range now includes caps with shrink ratios suitable for cable diameters 4-8mm, 4-11mm, 8-16mm, 15-35mm, 25-47mm, 35-68mm, 45-90mm, 45-110mm & 64-120mm. In addition to our stock sizes we can, upon request, quote heatshrink caps for cable diameters 70-145mm, 140-280mm & 230-460mm. 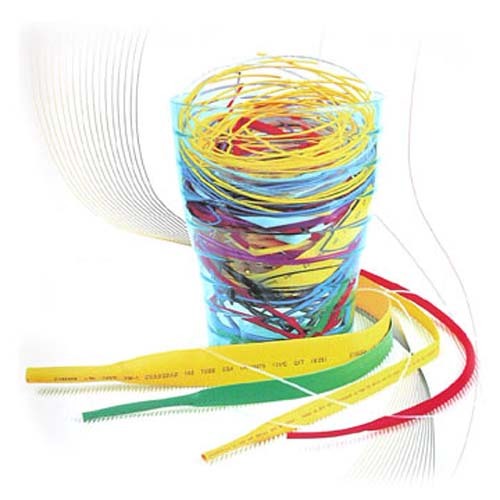 Our heatshrink end capsare suitable for use with most common cable types including XLPE, PVC, PILC and Rubber as well as Jelly-filled & Fibre Optic cables. We can also supply valved caps for pressurised telecommunication cables. All our heatshrink end caps are quick to install, even in confined spaces and provide excellent long-term resistance to weathering, moisture & dust contamination. 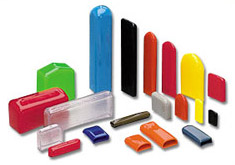 Our STOCKCAP heatshrink end caps are competitively priced and available in convenient pack sizes. In-stock for immediate delivery, our STOCKCAP Thin-wall (TW) Polyolefin Heatshrink Tubing is competitively priced, RoHS compliant, halogen-free, flame retardant and suitable for temperatures up to 125°C. 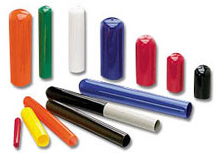 Available in continuous lengths on spools, STOCKCAP TW tubes cover a large range of diameters from 1.5mm up to 100mm and come in stock colours black, red, blue, white clear & yellow/green. Low Voltage (LV) Medium-wall (MW) Heatshrink Tubescompliments our growing range of Heatshrink products. 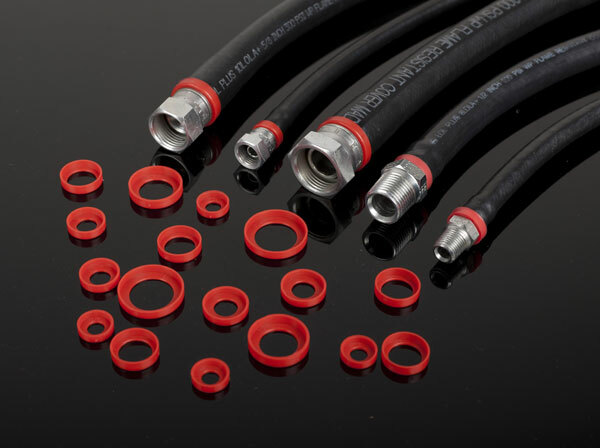 Specifically designed for protecting LV terminations as well as insulating LV connectors in straight through joints STOCKCAP MW tubesare manufactured from cross-linked polyolefin and are hot-melt adhesive lined. The hot-melt adhesive melts and flows as the tube is shrinking and creates a strong, permanent environmental seal between the cable jacket and the tube. Once shrunk, the cable joint is ready for direct bury or outdoor applications. As a special order, STOCKCAP MW tubes can be supplied unlined for mechanical protection applications like adhesion to plastic & metal. 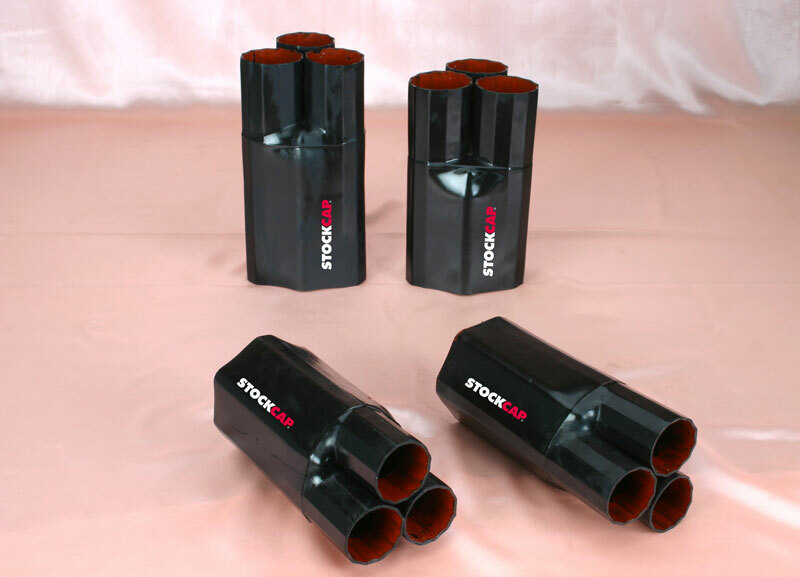 STOCKCAP MW tubes are flame retardant, quick to install even in confined spaces and provide excellent long-term resistance to weathering, moisture and dust contamination. The polyolefin material has an unlimited shelf-life and complies with the requirements of ESI 09-11. STOCKCAP MW Tubes are competitively priced in standard 1 metre lengths and available from stock for immediate delivery. STOCKCAP Long Caps are made of tough, flexible vinyl and available in lengths up to 350mm. Ideal for protecting long bolts or providing a clean finish to the end of a tube, Long Caps can be imprinted, punched or sliced to your specifications. Products come in a wide variety of colours, hardness’s and surface finishes. Many sizes are available in "heavy-weight" wall thickness for maximum protection. Style: Available with Round End or Flat End tops. Materials: Numerous materials are available. One of our most common materials is a 75 durometer vinyl with a glossy finish. Please contact us for a manufacturing Quote. Netguardis a low-cost way to reduce damage to precision components during shipping, handling or storage. It’s simply a matter of slipping Netguard snugly over the product to prevent breakage, scratching, dents, nicks and abrasions. Netguard stretches to hug any surface with a non-slip grip and is ideal for cylindrical or irregular shaped parts. 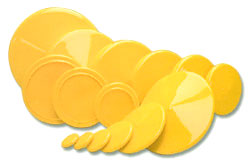 Because of its elasticity, one size fits a variety of diameters. An alternative to paper, cardboard or polystyrene, Netguard will protect valuable components, as well as products with machined, polished, plated, coated or threaded exterior surfaces. It is also non-conductive, UV resistant and won’t deteriorate when in contact with solvents, oils or rust inhibitors. 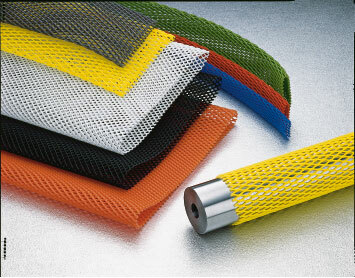 Available from stock in continuous rolls, Netguard comes in a range of bright colours to assist in size identification. Usually hard to find, STOCKCAP offers a broad selection of Rectangular Caps in popular sizes and colours. Flexible vinyl makes application quick and easy. Plus, Rectangular Caps possess excellent insulation properties. They can be easily imprinted with your logo, company name or custom message. With their 360° pull tab design, STOCKCAP vinyl Plus Plugscan be inserted and removed with relative ease. These flexible plugs conform to internal threads and provide a tight seal during the painting or plating process. One size fits several different ports and plus plugs won't shred, split or crack. Applications include masks (for painting, plating, coating, shot blasting), thread protectors, moisture and contamination barriers or shipping protectors. Due to the flexibility of our vinyl one size often fits many holes so you can choose the plug with a minimum OD that is slightly larger than the hole you are trying to plug. Plus Plugs are ideal for low temperature bake or air dry paint processes and the standard Plug can withstand temperatures up to 107°C. Stocked in Red and available for immediate delivery Plus Plugs are an ideal mask or shipping protector for your applications. Ergonomically designed STOCKCAP Grab Tabs have a user friendly bowed surface that reduces the amount of pinching pressure required for quick and easy removal and installation. Caps go on snug and stay put for a superior seal. Applications include paint masks, shipping and storage protectors, thread protectors and tubing end protectors. Grab Tab Caps are soft, flexible and most sizes are available in an undersized diameter that will provide a tight fit on a standard tube or bar. Grab Tab lengths can be varied to suit your application. Numerous materials are available and our most common material is a 75 durometer vinyl with a glossy finish. Gab Tabs can be manufactured in many colours including Black, Red, White, Blue, Green, Orange, Yellow and Grey. 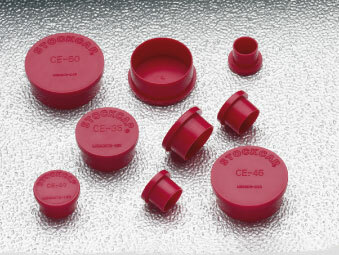 A unique end design makes these caps perfect for applications requiring ease of removal. The square end acts as a knob which allows the cap to be taken off very easily. Use for protecting threads, tubing and fittings from damage during shipping and processing. STOCKCAP square end caps also prevent rolling when used on packaging tubes. 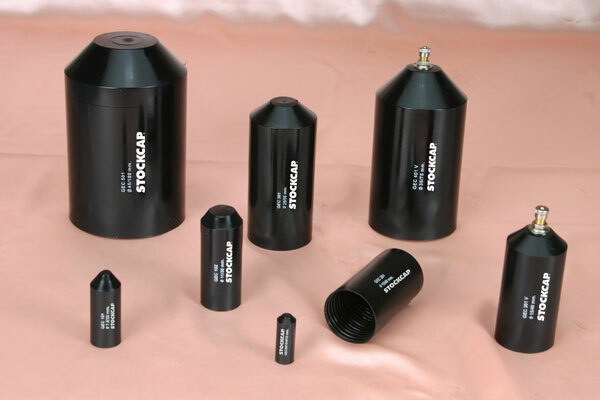 Manufactured in a variety of diameters, lengths and materials STOCKCAP square end caps are tough and durable. 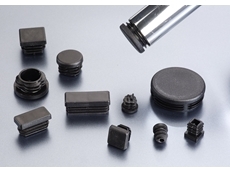 Electrical Connector Caps& Plugsare designed to protect male or female threaded electrical connectors from dust, dents and moisture. The flanged design allows easy application and removal in areas not readily accessible. 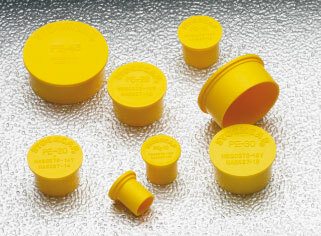 Manufactured in low density polyethylene material the Caps are Red in colour and the Plugs are Yellow.